I'm putting my culinary contest hat on again and entering another contest! Last time I won, it was for these. The first time I won, it was for these. This time? I'm not putting any eggs in my basket (okay, just three of them) but this recipe could be a winner. As you all know, I'm going to the Food Wine Conference for the FOURTH year this May (you can come, too; click the previous link). 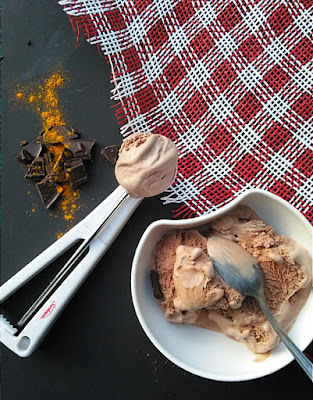 Each year several conference sponsors host contests and giveaways and right now, I'm entering my Curry Chocolate Ice Cream in the 2016 #makeitwithMILK Recipe Contest, provided by Florida Dairy Farmers. 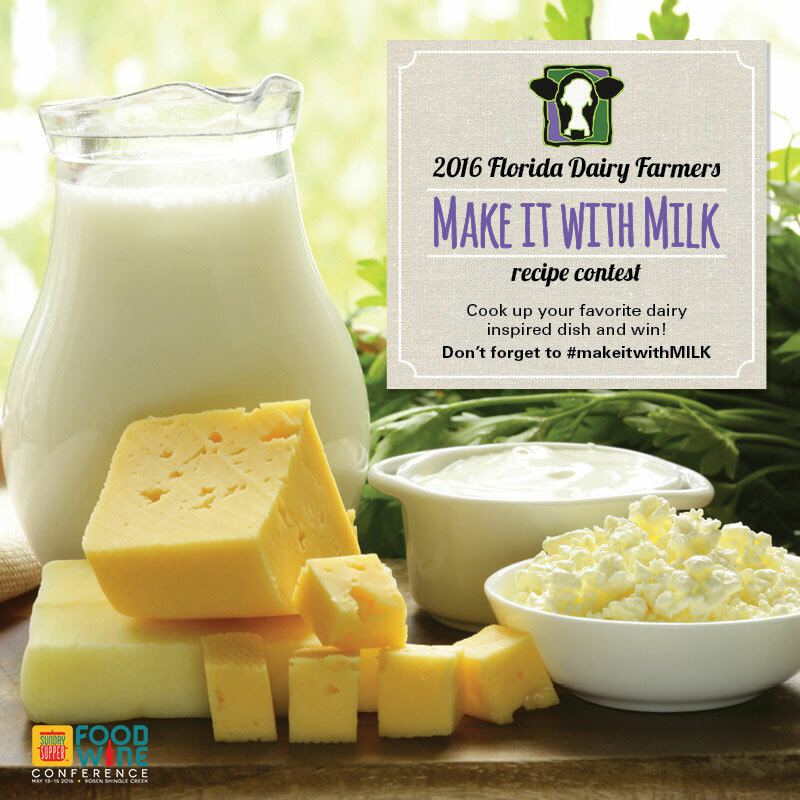 The #MakeItWithMilk Contest requirements included using 1 cup of milk and one other dairy product. Fingers, toes and knives crossed that I knocked this recipe out of the park to make it to the winner's circle. 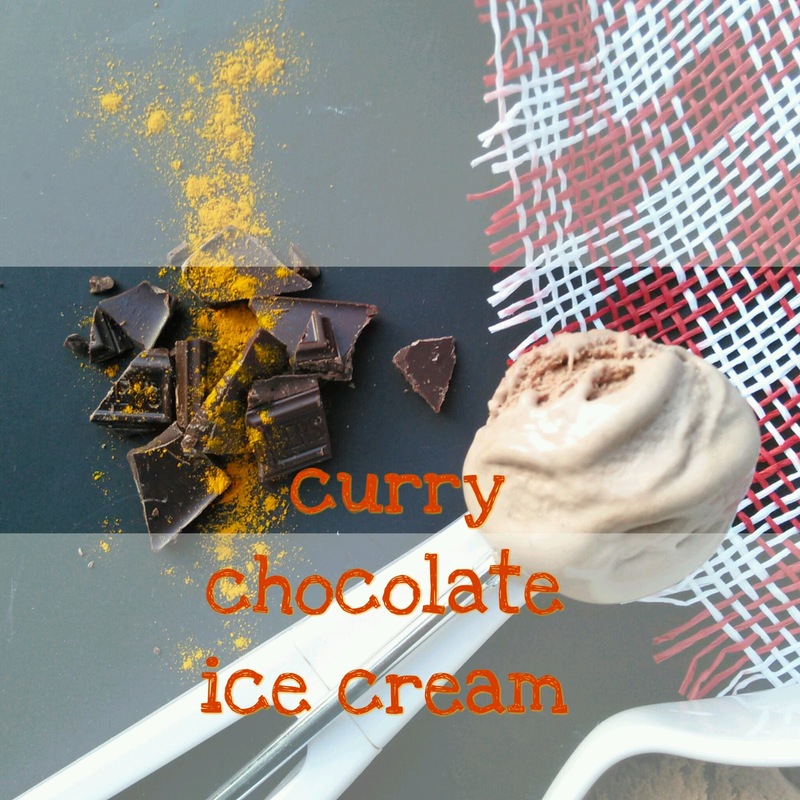 I started by making my own curry powder blend, which is definitely something I recommend, but if you don't make things with curry often, you'll simply have a surplus of ingredients you won't use ever again in your pantry or spice rack. Turmeric is what gives curry its yellow tinge while the cumin gives spice and the cayenne breathes a bit of warmth while the cardamom whispers floral notes. Instead of using granulated sugar or even powdered sugar, I used brown sugar, which gives the ice cream a sweeter, deeper flavor and actually matches with the curry powder pretty well. 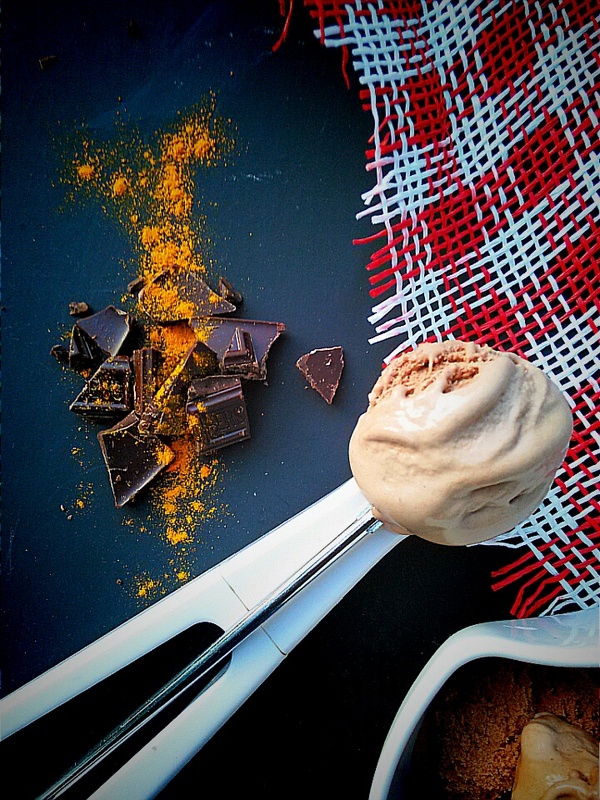 So if you're feeling a little exotic and you trust me, make this ice cream tonight! And wish me luck! 1. In a heavy saucepan whisk together brown sugar, cocoa powder and curry powder until combined and then whisk in heavy cream and milk. Bring mixture just to a boil, stirring occasionally. Remove from heat. 2. In a separate bowl, beat yolks until smooth. Add one-third of the hot cream mixture to yolks in a slow, steady stream, whisking constantly. 3. Pour the newly formed custard into the heavy saucepan. 4. Cook custard over moderately low heat, stirring constantly, until a thermometer registers 170° F.
5. Remove pan from heat and add chopped chocolate, whisking until melted. 6. Pour custard through a sieve or mesh strainer into a clean bowl and chill by covering its surface with plastic wrap, at least 3 hours, or until cold. 7. Freeze custard in an ice-cream maker, according to manufacturer's directions. 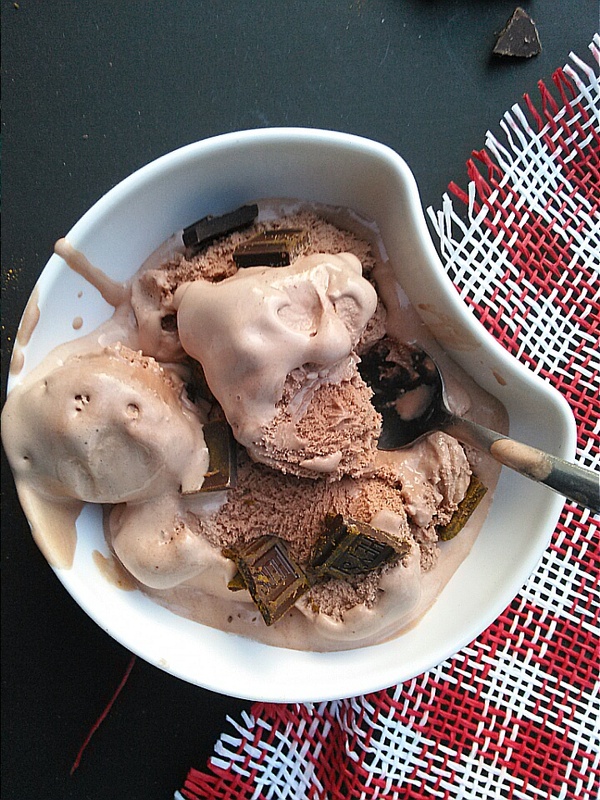 Transfer ice cream to an airtight container and put in freezer to harden. Serve. Such an interesting combination - very cool!